The Tories must really be in trouble. Not only are their supporters claiming they’re ahead in the polls, based simply on the evidence of one poll, and their fellow travelers in the Labour party are talking of quitting because of anti-Semitism, yet again, but the Tory press is now trying to run another Red Scare campaign. This type of anti-Labour propaganda began with the Zinovieff letter in the 1920s. This purported to be a letter from the head of the Comintern in Communist Russia urging Labour to turn Britain into Communist state. It may have cost Labour the election that year, though some historians have suggested that Labour would have lost anyway and the letter itself didn’t make much difference. It certainly didn’t come from the Soviet Union, but was cooked up much closer to home by MI5. In 1987 when Thatcher was up against Neil Kinnock, the Tory press ran it again. This time they claimed that there was a group of Labour MPs, who were secret Communists. If Labour was elected, they would oust Kinnock, seize power and turn Britain into a Communist state. The Scum also ran a double page spread of various left-wing Labour MPs, like Ken Livingstone and Diane Abbott, with quotes underneath them intended to scare the public into believing they were dealing with the ‘loony left’, as the Tories called them. The quote purporting to come from Red Ken had him saying that he didn’t believe in the British army, but in a worker’s army to guard the factories. And Diane Abbott was supposed to have said that ‘all White people are racist’. At the same time, the Tory press had been loudly telling everyone that Livingstone was a Marxist. Those who knew him made it clear that he wasn’t. He could sound like them on occasions, and was quite willing to use them. But he was never a Communist. So it’s a fair bet that Livingstone and Abbott may never have made the comments the Scum attributed to them, or if they did, they were ripped out of context. In any case there was no secret cabal of Commies within the Labour party plotting to seize power and turn us into the UKSSR. Not that it stopped one of the Thatcher’s favourite novelists, Frederick Forsythe, writing another thriller based on this premise. This was about MI5 working to prevent Moscow turning Britain into a Soviet satellite through a group of infiltrators, who had worked their way into a Labour party headed by someone, who bore more than a little similarity to Michael Foot. Now it seems the Tories are running the same scare tactics again. Zelo Street today has put up a very interesting piece about historian Giles Udy, who issued a series of Tweets promoting a forthcoming article in Tory political magazine Standpoint. Udy claims that Labour has a ‘shadow manifesto’ which states that capitalism has taken Britain to the abyss and only the seizure of power by the working class can save us. This document predicts that this revolution will be opposed by a Fascist dictatorship run by industrialists and newspaper editors, which will start a White Terror with death squads. This will only be avoided if the police, civil service, armed forces, security services and the judicial system are purged and replaced with supporters of the revolution. The lower ranks will be sent for re-education. This is, of course, all twaddle. Zelo Street makes it clear that if you actually look at the article, you’ll find that the document in question doesn’t come from Labour. Not at all. It comes from the Communist Party of Britain’s 25,000 word piece, Britain’s Road to Socialism. This might actually cause a problem for a real journalist or historian, who would be well aware that this very obviously does not come from the Labour party. Udy tries to wave this objection away by saying that the words ‘socialist’, ‘democratic socialist’ and ‘communist’ are virtually interchangeable to describe followers of Marx. As Zelo Street remarks, they aren’t at all, and this is fraudulent in the extreme. In fact, Udy has previous in trying to smear Corbyn and other members of the Labour party as agents of Moscow. In February last year he issued a series of Tweets touting an article by him in the Torygraph. This was at the time the Tory press were claiming that Corbyn had passed information on to the Czech secret service, despite the fact that he didn’t. Udy claimed that Corby and Abbott must have met party officials when they went on holiday in the former DDR, and that the Stasi would have preserved records of these meetings. Except that Corbyn and Abbott didn’t meet anyone from Honecker’s ruling party, and the Stasi didn’t have any records of them doing so. Those facts did not deter Udy. He claimed that he didn’t believe Corbyn had taken money from the East Germans, but he was only one of various deluded members of the Labour party, who were admirers of socialist totalitarianism, and lamented the fact that Blair’s revolution hadn’t cleaned them all out. The other high-ranking Labour figure and trade unionist, who had taken Soviet money, he claimed, was Jack Jones, the former head of the Transport and General Workers Union, now Unite. He also claimed that Jones’ wife had been a Soviet agent since the 1930s. This was all bilge. He only had one source for this nonsense, and that was the Soviet defector and liar Oleg Gordievsky. But Jones and his wife were safely dead, and so couldn’t sue. Udy was supposed to be a historian of the gulags, and was respected on the Right supposedly for his insight into the Labour party and Soviet Union. But Zelo Street said that after this article, he squandered whatever little credibility he had, and was just a paranoid fraud. ‘So no change there’. None whatsoever. When things get tough for the Tories, run a scare story about them and Communism. This posed a problem when Blair was in power, as he was as right-wing as they were. They solved it then by published various fictions predicting that sometime in the next decade the remains of the European socialist parties would united with the Muslims to start a new Holocaust of European Jews. Frederick Raphael reviewed a book, which had this as its theme, set in France, around about 2004 in the Spectator as I recall. Now that they’ve got a real left-winger to fear and smear in the case of Corbyn, they’ve dropped all the stuff about Islam and are going back to Communism. As for Standpoint itself, it’d be very interesting to know what connections it has, if any, with the British or American secret state. When the roughly left leaning political magazine, Prospect, first appeared about a decade or so ago, Lobster noted that it was more than a little like Encounter, another political mag from the ’60s – ’70s that was revealed to have been financed by the CIA. The right-wing press in this country has been running articles from the British secret state. It’s therefore quite possible that British intelligence or one of its nominally independent subsidiaries has been feeding it bilge about the Labour party as well. Like the smears against Corbyn and other British, American and European political figures claiming they were agents of Putin by the Integrity Initiative. Which brings us right back to MI5 and the Zinoviev letter. And how old and shopworn the Tories’ smear tactics are. 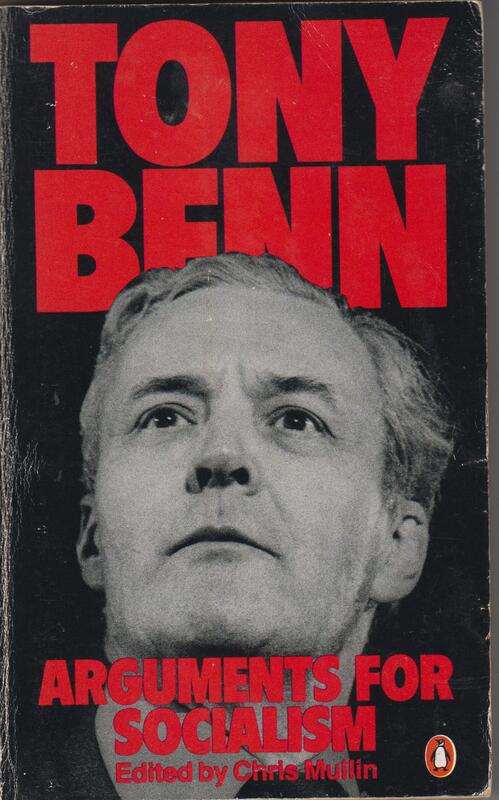 Tony Benn was a passionate defender of civil liberties and an advocate of expanding democracy further against the attempts of the establishment to limit it. He was therefore a critic of Britain’s intelligence agencies and their repeated attempts to destabilise and undermine the left. The publication of Peter Wright’s Spycatcher in the ’80s caused massive controversy, because of its description of the activities by them. Thatcher invoked the Official Secrets Act to suppress its publication in Britain, but it was freely available elsewhere in the world. 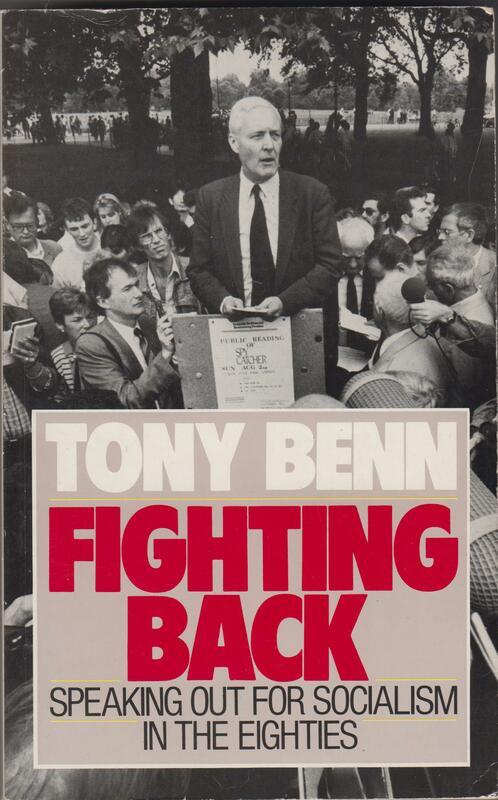 In his 1988 book, Fighting Back, Benn discusses the book and its revelations about just what the CIA and MI5 were up to, including their smears against the former Labour prime minister, Harold Wilson. and that Angleton believed that Wilson was a Soviet agent, based on an anonymous Soviet source. (Benn, Fighting Back, pp. 237-8). As events moved to their political climax in early 1974, with the election of the minority Labour Government, MI5 was sitting on information, which, if leaked, would undoubtedly have caused a political scandal of incalculable consequences. The news that the Prime Minister himself was being investigated would at the least have led to his resignation. The point was not lost on some MI5 officers. The plan was simple. In the run-up to the election which, given the level of instability in Parliament, must be due within a matter of months, MI5 would arrange for selective details of the intelligence about leading Labour Party figures, but especially Wilson, to be leaked to sympathetic pressmen. Using our contacts in the press and among union officials, word of the material contained in MI5 files, and the fact that Wilson was considered a security risk would be passed around. Soundings had already been taken, and up to thirty officers had given their approval to the scheme. Facsimile copies of some files were to be made and distributed to overseas newspapers, and the matter was to be raised in Parliament for maximum effect. It was a carbon copy of the Zinoviev letter, which had done so much to destroy the first Ramsay MacDonald Government in 1928. [sic] ‘We’ll have him out’ said one of them. ‘this time we’ll have him out.’ Shortly afterwards Wilson resigned. As we always used to say in the office ‘Politicians may come and go, but the security service goes on forever. (Both quotations in Benn, p. 238). If any of them are true MI5 officers were incited to break the law, have broken the law, did attempt, with CIA help, to destroy an elected government, and any responsible Prime Minister should have instructed the police to investigate, with a view to prosecution, and the Courts should have convicted and sentenced those found guilty. The charge which the Prime Minister, the Lord Chancellor, the Law Officers, the Police, have to face is that they have all betrayed their public trust, and the judges who have upheld them are in clear breach of the Bill of Rights of 1689. For if ministers can arbitrarily suspend the law, and claim that issues of confidentiality, or national security, justify a ban on publication; and if the judges issue an injunction, there could be no limit to the suppression of any information which might embarrass any government. (Benn, p. 239). The Wilson smears have again become relevant after the recent revelations from the Anonymous hacking group, which the government admitted following a question by Labour minister Chris Williamson, that the Tory government was funding a private company, the Institute for Statecraft, to publish anti-Putin propaganda on the internet as part of its programme, the Integrity Initiative. This propaganda included smearing European and American politicians and officials, who were held to be to close to Putin. And so they smeared Jeremy Corbyn, just as the press a little while ago also tried smearing him as a Czech spy. Investigation has shown that the Institute for Statecraft and the Integrity Initiative uses staff from MI5 and the army’s internet counterintelligence units, to the point where journalists investigating it have described it as a British intelligence cut-out. It is over forty years since Harold Wilson left office, but the British intelligence services are back up to their old tricks of smearing Labour leaders as Russian agents. Benn wanted legislation put in place to make the British secret state fully accountable to parliament. The British conspiracy magazine, Lobster, has making the same argument since its foundation in the 1980s. Benn and Lobster are right. Our intelligence agencies are out of control, and a danger to democracy. Orwell’s 1984 is one of the very greatest classic dystopian novels depicting a bleak future in which the state has nearly absolute, total control. It’s particularly impressed Russians and others, who lived through and criticized Stalinism. Some of these have expressed amazement at how Orwell could have written the book without actually experiencing the horrific reality of Stalin’s USSR for himself. After the War, Orwell became a snitch for MI5 providing the agency with information on the suspected Communists. It’s a sordid part of his brilliant career as an anti-imperialist, socialist writer and activist. Conservatives have naturally seized on Orwell’s 1984, and the earlier satire, Animal Farm, to argue that the great writer had become so profoundly disillusioned that he had abandoned socialism altogether to become a fierce critic of it. This is unlikely, as the previous year Orwell had written The Lion and the Unicorn, subtitled Socialism and the English. This examined English identity, and argued that for socialism to win in England, it had to adapt to British traditions and the English national character. But it didn’t reject socialism. Instead, it looked forward to a socialist victory and a socialist revolution, but one that would be so in keeping with English nationhood that some would wonder if there had been a revolution at all. He believed this would come about through the increasing blurring of class lines, and pointed to the emergence of a class of people occupying suburban council housing, who could not be easily defined as either working or middle class. ‘Fabian Essays’ presented the case for Socialism in plain language which everybody could understand. It based Socialism, not on the speculations of a German philosopher, but on the obvious evolution of society as we see it around us. It accepted economic science as taught by the accredited British professors; it built up the edifice of Socialism on the foundations of our existing political and social institutions; it proved that Socialism was but the next step in the development of society, rendered inevitable by the changes which followed from the industrial revolution of the eighteenth century. In Lane W. Lancaster, Masters of Political Thought, Vol. 3, Hegel to Dewey (London: George G. Harrap & Co. Ltd 1959) 309. There is not one new item in it. All are applications of principles already in full activity. All have on them that stamp of the vestry which is so congenial to the British mind. None of them compel the use of the words Socialism or Evolution; at no point do they involve guillotining, declaring the Rights of Man, swearing on the alter of the country, or anything else that is supposed to be essentially un-English. And they are all sure to come – landmarks on our course already visible to far-sighted politicians even of the party that dreads them. Lancaster, op. cit., p. 316. Shaw was right, and continues to be right. Thatcher wanted to privatise everything because she was afraid of the ‘ratcheting down’ of increasing nationalization, and believed this would result in the gradual emergence of a completely socialized British economy. And the fact that so much British socialism was based on British rather than continental traditions may also explain why Conservatives spend so much of their effort trying to persuade the public that that Socialists, or at least the Labour left, are all agents of Moscow. It appears to me that what turned Orwell into an anti-Communist was seeing the Communist party abandon its socialist allies and attack their achievements under Stalin’s orders in the Spanish Civil War. The Trotskyite writer Ernest Mandel discusses this betrayal in his From Stalinism to Eurocommunism (New York: Schocken Books 1978). The switch to a defence of the bourgeois state and the social status quo in the ‘democratic’ imperialist countries – which implied the defence of private property in the event of severe social crisis and national defence in the event of imperialist war – was made officially by the Seventh Congress of the Comintern. It had been preceded by an initial turn in this direction by the French Communist Party (PCF) when the Stalin-Laval military pact was signed. The clearest reflection of this turn was the Popular Front policy; its most radical effects came with the application of this policy during the Spanish Civil War. In Spain, the Communist Party made itself the most determined, consistent and bloody defender of the reestablishment of the bourgeois order against the collectivisations spontaneously effected by the workers and poor peasants of the Republic and against the organs of power created by the proletariat, particularly the committees and militias, which had inflicted a decisive defeat on the miltaro-fascist insurgents in nearly all the large cities of the country in July 1936. (p. 18). Others have also pointed out that the nightmare world of 1984 is a depiction of a revolution that has taken the wrong turn, not one that has failed, which is another tactic adopted by Conservative propagandists. Orwell was greatly impressed by the achievements of the Spanish anarchists, and anarchism is highly critical of state socialism and particularly the USSR. It thus seems to me that what Orwell attacked in Animal Farm and 1984 was not socialism as such, but its usurpation and abuse by bitterly intolerant, repressive groups like the Bolsheviks. It was a view partly based by what he had seen in Spain, and would no doubt have been reinforced by his awareness of the way Stalin had also rounded up, imprisoned and shot socialist dissidents in the USSR. Orwell was probably anti-Communist, not anti-Socialist.